to design a rehabilitation exoskeleton. 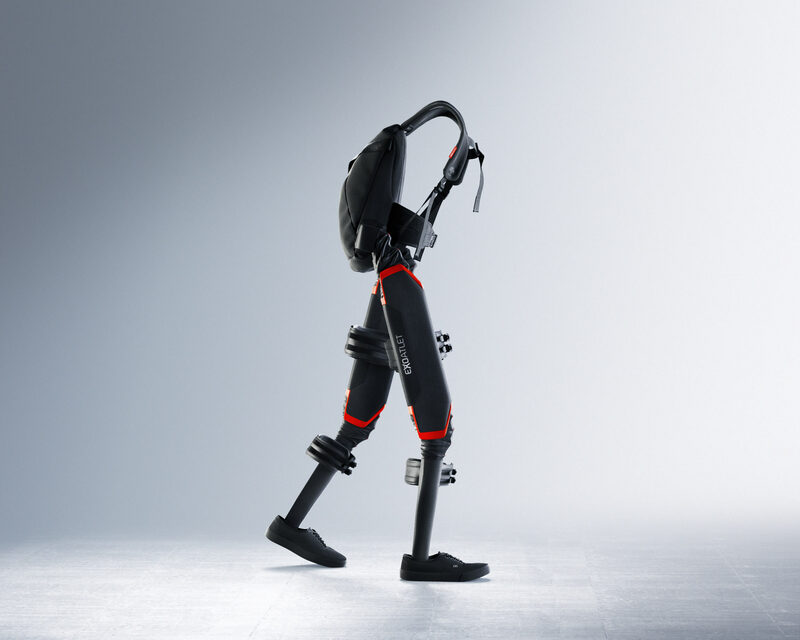 Exoatlet creates exoskeletons that allow people with musculoskeletal disorders move freely and enjoy life. An exoskeleton is a motorized frame that attaches to a person’s body and allows them to walk, sit and stand up without outside help. 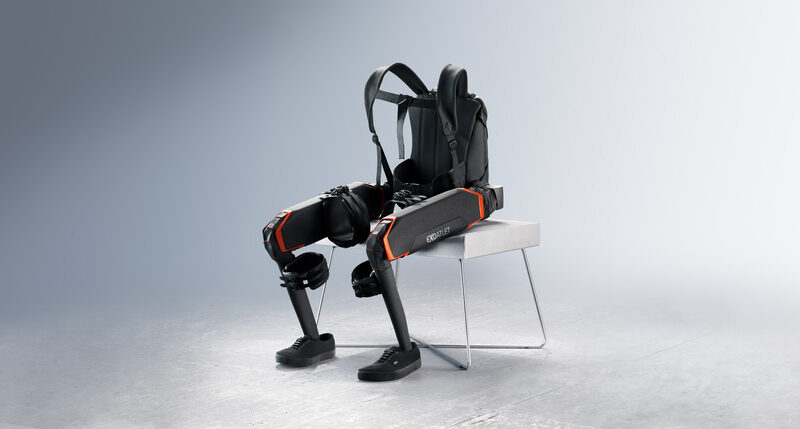 An exoskeleton provides a way to restore motor functions for people who have recently been injured with partial loss of sensation in legs, while to wheelchair users it gives a chance to visit previously inaccessible places and becomes an effective means of rehabilitation: normal walking significantly improves health and gives freedom and joy to a person who has spent a long time in a wheelchair. 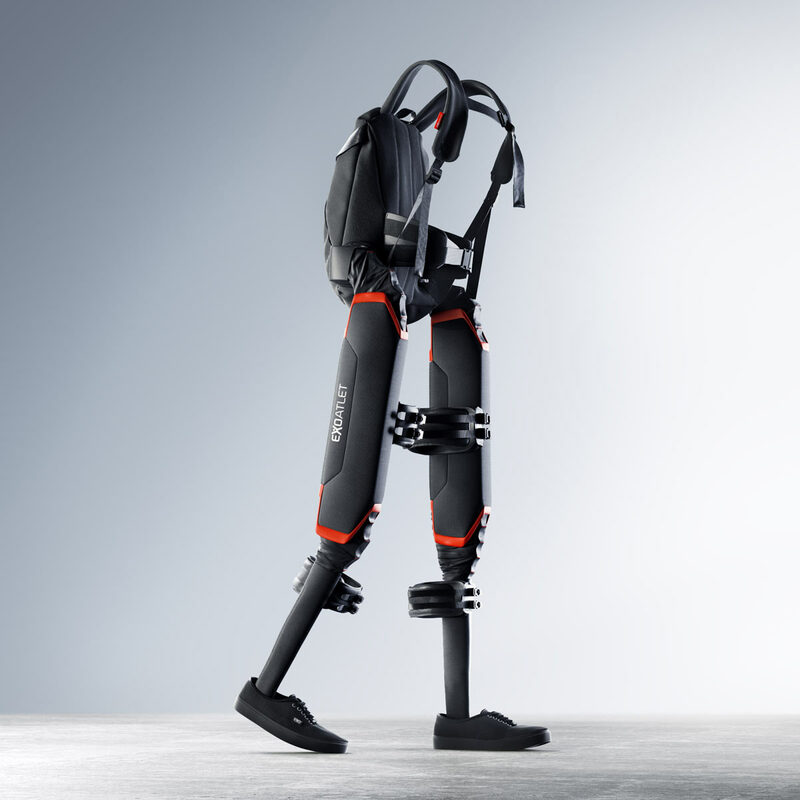 Design of the exoskeleton exterior was created at the studio. The structural part of the exoskeleton is hidden behind a fabric cover that makes the high-tech device look like a casual piece of clothing. The fabric does not considerably increase the weight of the device which prevents it from looking like body armor and its user appearing like a cyborg. A regular-looking backpack hides the lumbar corset that supports the back as well as additional controls and batteries.